This subject is given great priority in the school, as it is the key subject to all other areas of the curriculum. Our aim is to enable the children to express themselves with fluency and confidence, both orally and in written form, to develop good listening skills and a love of books and reading which will stay with them long after they leave Primary School. providing opportunities for children to express themselves orallly eg assemblies, in church and school productions. making the school environment a showcase for children's work, projects etc. providing experiences outside the classroom to stimulate children's oral and written expression. testing pupil performance regularly so that appropriate action can be taken to ensure each child is reaching her potential. Children who require additional help with their learning are identified at an early stage and supported by the highly skilled Learning Support Officer and team. As part of our annual Read in Bed programme pupils from both Key Stage One and Two are given the opportunity to recommend the books they have read to other classes. 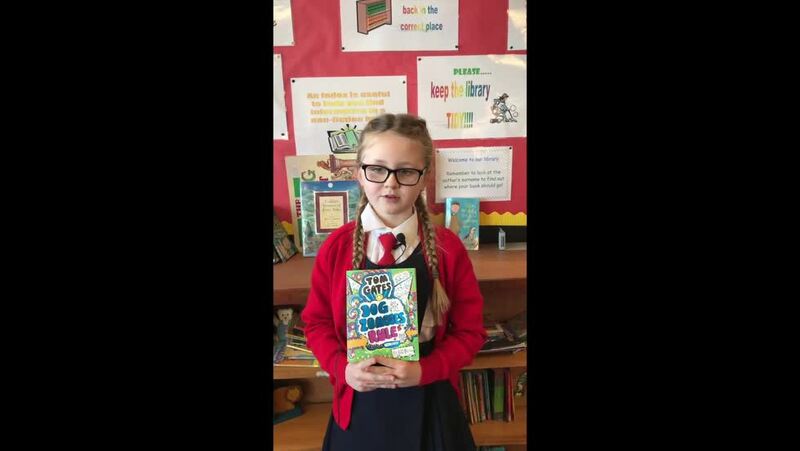 We thought you would enjoy watching some of the recommendations made by our Key Stage Two girls. The presentation of the children's work has been a focus this year. Special effort is acknowledged at our handwriting assemblies and through our handwriting competitions. The development of reading is supported through: Accelerated Reading Programme P5-P7. This programme encourages all the children to read and answer quizzes relating to their books. They collect points which can be used to obtain rewards and treats. 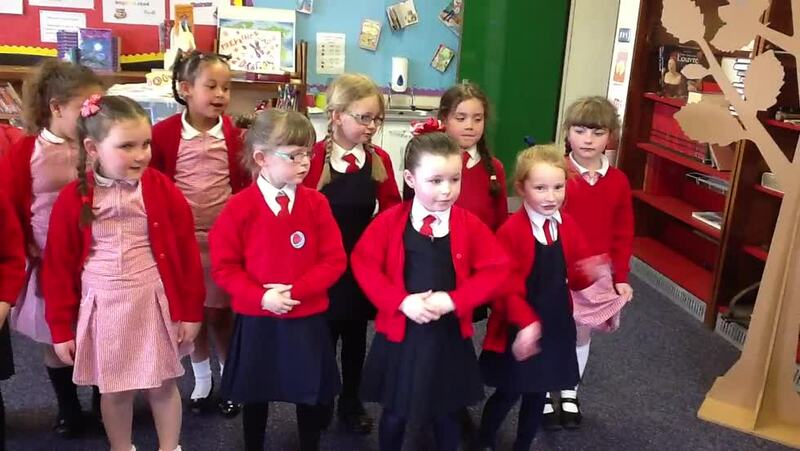 A number of other reading programmes such as Paired Reading P4, Reading Recovery P3/4, Reading Partnership, Ready To Learn and Reading Buddies help support and develop reading in the younger children. A highlight of the year is our Read In Bed programme which takes place during the cold, dark nights of winter and is enjoyed by both the children and their parents. Some of our P6 girls enjoyed a day out to celebrate completing their Reading Partnership Programme. They had a great time choosing books in Easons and having lunch in McDonalds before spending some time in Ardoyne Library. Congratulations to our classroom assistants who were accredited with their Reading Partnership qualification and our thanks to them for the fabulous work done supporting the girls through the programme. World Book Day is celebrated each year when the children come to school dressed as a character from their favourite book and we have a read together session as our 'big girls' read to the 'little girls'.